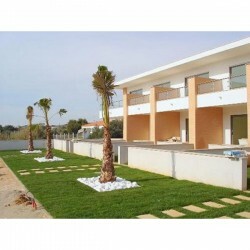 Fantastic 4 Bed Villa in East Algarve PortugalProperty descriptionFor sale a luxury 370 sqm. Villa i..
Hotel/guest house in East Algarve, PortugalProperty descriptionFacilities for sale to be adapted to .. Stunning 3 Bedroom Townhouse in O Pomar Holiday Village Algarve Portugal Euroresales Property .. Superb 2 Bed Apartment in Lagos PortugalEuroresales Property ID – 9824685Property information:Superb.. Superb 2 Bed Ground floor Apartment in Lagos PortugalEuroresales Property ID – 9824347Property infor.. Superb 2 Bedroom House in Algarve PortugalEuroresales Property ID – 9825023Property information:This.. Superb 3 Bed Renovated Farmhouse in Algarve PortugalEuroresales Property ID –9824285Property informa.. Superb 3 Bedroom Villa in Faro PortugalEuroresales Property ID – 9824516Property information:There a.. Superb 3 Bedroom Villa in Santo Antonio Lagos Algarve PortugalEuroresales Property ID – 9824684Prope.. Superb 4 Bed Villa in Martinhal Resort PortugalEuroresales Property ID – 9824203Property information.. Superb 5 Bedroom Villa in Algarve PortugalEuroresales Property ID –9824261Property information:This .. Superb 8 Bedroom Detached Villa in Algarve PortugalEuroresales Property ID – 9824422Property informa.. Superb Single Storey 3 Bedroom House in Algarve PortugalEuroresales Property ID – 9824643Property in..